Gov. Gretchen Whitmer said her overhaul of the state’s environmental agency would fulfill her promises to clean up tainted water and respond to underserved communities on environmental matters. But some Republicans have moved to block the overhaul, angry that it eliminates oversight panels they created last year. LANSING — A state senator rose to her feet, blasting what she called a “power grab” from the governor to abolish citizen panels that shaped environmental policy. “There is something inherently wrong with the system which concentrates too much power at the top of an organization and reduces the public participation and oversight,” said the senator. It’s a scene that could have happened last week, when Republicans moved to override an executive order from Democratic Gov. Gretchen Whitmer to reshape and rename the state’s Department of Environmental Quality because it also kills commissions the GOP created last year to give industry a greater voice in DEQ rules and permits. In fact, the speech came in 1991, when state Sen. Lana Pollack led fellow Democrats in protesting Republican Gov. 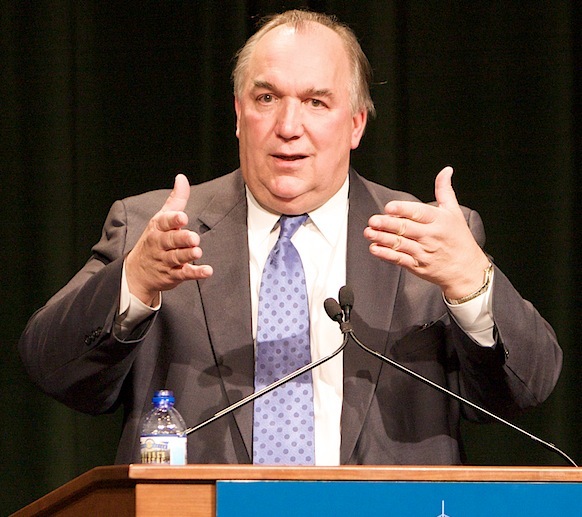 John Engler’s abolition of 18 legislatively created commissions and boards that managed air, water and other natural resources. Nearly 28 years later, Michigan lawmakers are still battling over a governor’s power to shape environmental departments and regulations – only now it’s Republicans crying foul over a Democrat nixing oversight panels. The GOP-controlled Senate Oversight Committee on Wednesday is expected to continue debating whether to follow the lead of the House and override Whitmer’s executive order. If both chambers act by April 5, Whitmer’s reorganization will fail. The drama comes as debate unfolds nationwide over the role of citizen oversight boards. Nationwide, 32 states had environmental policy boards as recently as 2013, according to a 2016 memorandum from the Michigan Legislative Service Bureau. “However, that number is shrinking as these boards can be controversial,” the memo said, citing Minnesota’s 2015 elimination of a citizens board that “angered many” after requiring an animal feeding operation to complete an environmental impact statement. Whitmer’s order would reorganize the DEQ into the Department of Environment, Great Lakes, and Energy — an agency that would prioritize threats to drinking water, climate change and environmental justice. The reshuffling comes nearly five years after residents of Flint were exposed to high levels of toxic lead in their drinking water, a crisis largely attributed to failures in state government, including the DEQ. Republican lawmakers crafted the oversight commissions last year, saying they would bolster transparency and rein what some contend are overzealous regulations from the DEQ. The panels were backed by powerful groups such as the Michigan Chamber of Commerce and Michigan Farm Bureau as a way to give the public a chance to discuss rules and air grievances. Among the citizen boards Whitmer would nix: the Environmental Rules Review Committee, which has power to “oversee all rulemaking” of the DEQ and has held one organizational meeting. Half of the 12 seats on the panel are slotted for business representatives. Former Gov. Rick Snyder last year appointed all members last year, and another appointment for Whitmer doesn’t open until late 2020. Democrats say the panels give industry representatives too much power and would slow the governor’s efforts to deliver on campaign promises to clean Michigan’s tainted water through a “Clean Water Public Advocate” office at the newly created environmental agency. 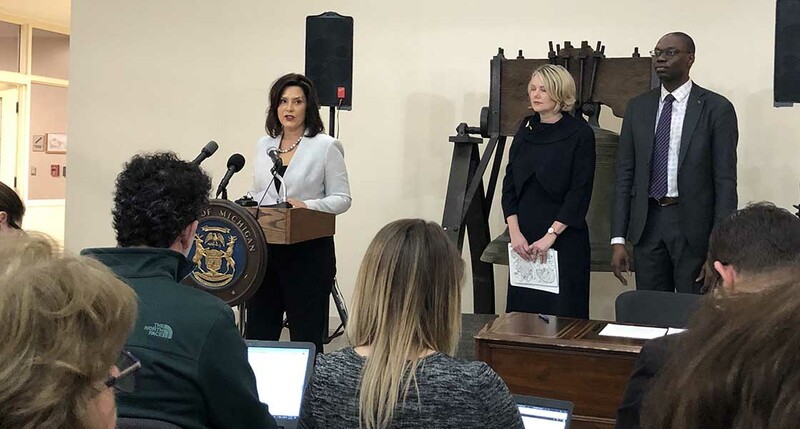 “These are one more layer that keeps us from actually cleaning up drinking water and having real accountability — and making sure decisions are made by scientists who are looking out for public health,” Whitmer told reporters last week. Protecting the ‘little guy,’ but who is that? Somewhat lost the standoff: Both Democrats and Republicans are unhappy with the status quo at the DEQ and have pitched some form of citizens’ oversight panels as a way to fix the agency. Former Sen. Tom Casperson, who sponsored the oversight panel legislation last year and now works for Sen. Ed McBroom, R-Vulcan, said his panels protect the “little guy” from being steamrolled by government when trying to build on or otherwise use their own public property. Irwin said he favors citizens panels to watch over the state’s environmental agency — but ones created by the GOP are too business friendly. Tyler Ernst, assistant general counsel of the Farm Bureau and a member of the newly created Environmental Rules Review Committee, said he’s frustrated with how both politicians from parties have described that commission. The members are neither “salt of the earth...run-of-the-mill Joe Schmoes,” as some Republicans paint them, Ernst told Bridge, nor do they represent “the fox guarding the hen house or just the interest of industry,” as Democrats argue. “Every member on that committee is an individual. Do we have a responsibility to the industries we represent to voice their concerns? Certainly we do,” Ernst added. The panel consists of representatives from the Nature Conservancy and Michigan Environmental Council, General Motors, Waste Management, the Michigan Oil and Gas Association, and DTE Energy. Other members include a Calhoun County Public Health Department official, a Boyne City wastewater superintendent, representatives who work for a dry cleaning business, an international business law firm and a trust created to clean up former General Motors Corp. properties. A separate Environmental Permit Review Commission resolves permitting disputes at the agency. Aggrieved parties trying to, for instance, alter floodplains, drill for oil, mine minerals — or do most anything requiring regulator’s permission — could seek relief. It does not require members to come from specific professions. For the past two Legislative sessions under Snyder, Democrats filed legislation to create their own citizen oversight boards to oversee all decisions over air and water, but they never drew a hearing. An “Air Pollution Control Commission” proposed last session by Sen. Stephanie Chang, D-Detroit (she previously served in the House), for instance, would issue permits and rules and accept complaints. Just two of the commission’s 11 governor-appointed members would have represented industry, with the rest coming from local government, public health, environmental organizations and the general public. Chang said she filed the legislation after constituents in her industrial district felt that DEQ had pre-determined permit decisions — before seeking public input — after closed-door negotiations with corporations. “I really believe that there is probably a way to come to some sort of middle ground — where there is true citizen oversight,” Chang said. That would include some voice from regulated corporations, but “in a way that’s balanced and takes into account public health and science and impact on local communities,” she added. “It's clear that folks on both sides of the aisle want to see some type of check in place,” she said. The new oversight panels are the first in Michigan since Engler eliminated them. Pollack — who now sits on the International Joint Commission, a U.S-Canadian body that manages cross-border water issues — said she still sees values in the boards. The ones that Engler killed “were the public's voice, and there was an integrity about it,” she said. But she’s not impressed with the new GOP-created commissions. “It does not offer anything like the protection that was for public interests that were provided under the earlier generation,” she said. But even then, environmental boards also drew plenty of controversy. Bill Rustem, a long-time environmental policy adviser to Michigan governors since the 1970s, said it can be tough to find a sweet spot in creating such bodies. Citizens commissions — such as the now-defunct Water Resources Commission and Air Pollution Control Commission — occasionally morphed to fit a governor’s whims. The Water Resources Commission, for instance, refused to adopt former Gov. William Milliken’s plan to ban phosphorus in cleaning products to stop putrid-smelling and even toxic algae from killing fish in Lake Erie. 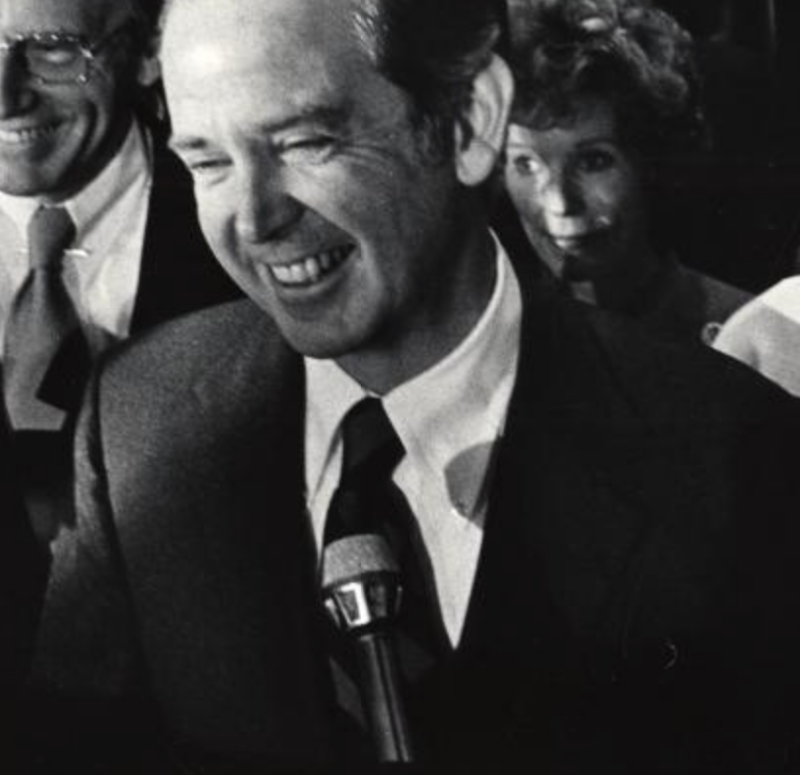 That prompted Milliken to transfer the commission in 1973 to Department of Natural Resources, where he could appoint the chairman and shape the rules. Few love MI DEQ? Really? Industry dominated boards equal in value to citizen oversight boards? This a disappointing and misleading take. Not typical for Bridge. MDEQ is a dysfunctional entity that has no objective consistency in interpretation of the law from Case Manager to Case Mansger or from District to District. Decisions are made many times on what appears to be a whim and some Case Managers contradict their own opinions from month to month. The MDEQ needs to provide open, consistent, objective, and reasonable regulation in accordance with the law or Michigan's Citizens and Businesses will continue to experience dysfunctional government. Let me see In 2010 I had 35 yeras as a state of MI cerotfied Asbestos building inspector and was certified in several other states... A BS from Ferris State.... BUT I was ruled unquilified to be a DEQ Asbestos inspector<<< a girl from Canada got the job with only 4 years experance working for an environmental company own by KK!!! The long history of the evolution of Michigan's environmental programs, going back to the creation of the Conservation Commission a hundred years ago, points to the ongoing tensions between creating forums that act in the public interest and the excessive power of the polluters and those who seek less or no regulation when it comes to our natural resources. They also point to the reality that Governors don't particularly like having board that are not responsive to them that have power to make independent decisions. This obvious works both ways depending on who is in office at the time. While only one mention of Gov. Milliken is provided in this report (which does a good job of reporting overall), it is important to point out that he did a lot to give institutional opportunities for the people of Michigan to be heard, and actually listened to, when it came to pollution. One of the most important Milliken did was create the Michigan Environmental Review Board (MERB) through an Executive Order in the 1970s, creating a forum of experts on environmental issues, without the conflicts inherent in the Casperson legislation, which any person in Michigan could approach and ask to apply the Constitutional provisions to prevent "pollution, impairment and destruction" of our environment as further spelled out in the Michigan Environmental Protection Act. MERB along the Air Pollution Control Commission, the Water Resources Commission, the Toxics Substances Commission and, as effectively a backup, the Natural Resource Commission, were bodies that were designed to listen to everyone (citizen, corporation, scientists, agency staff, legal representatives, local governments) and in an open, transparent way seek to get at the truth about existing or possible dangers to our state's environmental and natural resources well-being. I saw people from Jackson County come before MERB to complain of the incredibly noxious odor from one of the first concentrated animal feeding operations in Michigan in the 1980's. MERB asked an Assistant Attorney General to investigate, and when he reported back that he could not get within a quarter mile of the facility because the odor made him physically sick, MERB worked the Attorney General using the air quality law of the time to shut that facility down. For a number of years, Michigan was admired for having led the way in addressing this dangerous menace - until during Gov. Engler's time the boards and commissions were killed off, the law was modify to remove noxious odors from agricultural facilities from under the nuisance provision of the air pollution statutes by modifying the Right to Farm Act, and eventually even local controls over these facilities were blocked by legislative action. Under Gov. Granholm, a significant amount of the damage was reversed when within the first few weeks DEQ Director Steve Chester told the staff of the agency that he expected them to do their jobs, enforcing the law. At every step, the legislature undercut those efforts, but programs began to get back on track, only to be derailed entirely over the past eight years. When the Detroit Incinerator proposed permit was heard before the Air Pollution Control Commission in the mid-1980's in the Detroit City Council Chambers, with more than 500 people in attendance, the volunteer commission members, agency and AG staff, heard everyone who submitted a request to testify, going through the evening into the wee hours of the morning. The permit was issued, with modifications - but when the incinerator violated its permit standards the APCC shut it down. This was a body keeping its promise to the people of Michigan that they would apply science, they would be objective, and they would do what they were supposed to do enforce the law. constitution. The Senate should NOT pass HCR 1, but if they are intent on overturning the Gov's EO-2, they must start a serious effort to ensure that corporate polluters are not running the show. Every single time that has been the case in Michigan, from the logger baron era until today, the people and the future of this state are harmed. So I am starting up a small farm and needing water from my creek. I fear I will be regulated on my own property by over stepping government that will not listen to my needs. A committee that can listen to both the DEQ and a private citizen and weigh the necessary actions is what all citizens want. We as Americans know that more government means less freedoms. As administrators and government officials you all work for me. This over reach of government controlling any decision and the final say is the wrong government. Government is worse than corporations. One is self pronounced royalty and thinks its doing this for our own good and the other can be controlled with educating the public and lawyers. Why is this so difficult. I love our environment and nature and it's security BUT lets not attack who pays the bill (the public) and make them follow ridiculous rules on their own land. And for that matter the city dwellers think they are the only ones that exist and make more rules on us farmers when they need us for food. The environmentalists need to go back to the city and fix the crap there before they come out and try to convince government they need to reign us in. The Governor needs to answer to the people not corporations and definitely NOT environmental orginizations "speaking for us". Let me know how you perceive the future of this agency and WHO controls it. As usual, the Michigan GOP (like the national GOP) loves its campaign contributing polluters. Citizens? Not so much. Privatize profits, socialize costs, that's the GOP goal. Few? Few businesses, you mean. Those who would and HAVE polluted Michigan waters and created literally THOUSANDS of plumes of contaminates in the ground in this state. Those who think that they should be allowed to foul the nest we live in. The DEQ was created to remediate these sites and to protect us all from the creation of more polluted sites. Those committees were the result of a corrupted GOP allowing business to purchase oversight of the DEQ and was a blatant attempt by the polluters to weaken the power of the state, the EPA and the DEQ as administrator for EPA in the state. SHAME on the GOP for selling our state's beautiful legacy to the highest bidders. The "will of the people" was certainly not present in the lame duck session. To say so, is utter B.S. ( a common trait of Republican law makers).